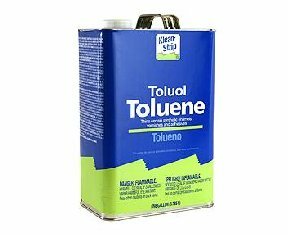 The EPA describes Volatile Organic Compounds as chemicals that evaporate at room temperature, which are emitted by a wide array of products used in the work place and in the home including solvents such as naphtha, turpentine, xylene and toluene as examples. VOCs also emanate from paint, lacquer, paint strippers, varnish, cleaning supplies, air fresheners, pesticides, building materials and even furnishings. VOCs are released from these products into the work area or at home both during use and even while stored. That is a silent hazard as according to the EPA, VOCs cause eye, nose and throat irritation, frequent headaches, nausea, and can also damage the liver, kidney and central nervous system. "In general, solvents are one of the most underrated hazards in art. They are used for a million purposes: to dissolve and mix with oils, resins, varnishes, inks; to remove paint, varnish, lacquers; to clean brushes, tools, silk screens and even hands. As a result, artists are continually being exposed to solvents. Almost all organic solvents are poisonous if swallowed or inhaled in sufficient quantity, and most cause dermatitis after sufficient skin contact. High concentrations of most solvents can cause narcosis (dizziness, nausea, fatigue, and loss of coordination, coma, and the like). This can increase the chances for mistakes and accidents. As mentioned earlier, long-term exposure to high concentrations of many solvents can cause brain damage. In particular, aromatic hydrocarbons, aliphatic hydrocarbons and chlorinated hydrocarbons appear to be implicated. Some solvents - for example, benzene (benzoyl) and carbon tetrachloride - are so toxic that they shouldn't be used. 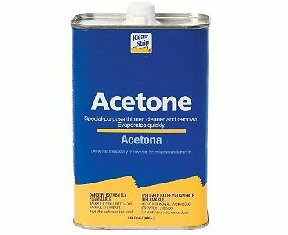 Other solvents - for example, acetone and ethanol (ethyl or grain alcohol) - are reasonably safe." The problem is that in many art, sculpture and mold making studios, solvents are still used without any form of protection. Some studios have dealt with the issue of solvent exposure through the installation of ventilation systems. However, Stanford scientists found that the impact of solvent vapors on human health is one thousand times greater in an indoor environment, as opposed to outdoors. This may explain why illness due to solvent VOC inhalation, despite the widespread adoption of sophisticated ventilation systems in studios and workshop. Since the 1960s, there has been increasing medical evidence that most petroleum derived solvents are toxic. This has been the basis of various lawsuits brought by afflicted workers, for example in the US railway industry. Over the past twenty years - and with little publicity - there have also been various lawsuits regarding sickness or injury resulting from solvent exposure in the field of painting and decorating, in art schools and in other fields such as road construction and printing. People who were exposed to harsh solvents twelve or more years ago may still face cognitive side effects, including brain damage, according to the findings of new research. In a study published in the medical journal, Neurology, researchers found that exposure to solvents had a negative effect on cognitive functions, like memory and thinking. The effects were found much later in the workers' lives; twelve to fifty years after exposure, and did not fade over time. Numerous solvents that were classed as 'moderately toxic' in older literature on solvent safety are now regarded as 'toxic'. 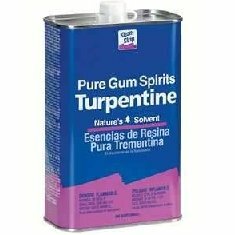 For instance White Spirit / Mineral Spirits or Acetone have been re-evaluated by experts and are now classed as 'toxic' and as potential carcinogens. Glycol ether, often quoted as being a mere irritant and a necessity is also toxic, not only in concentration but also diluted (e.g. In water-based paints and cleaning products). "Although some solvents are less hazardous than others, all solvents can cause toxic effects. There are no safe organic solvents, only more and less toxic ones. All organic solvents can affect the nervous system, respiratory system, skin, eyes, and internal organs to some degree. Solvents are also implicated in damage to both the male and the female reproductive systems." As a result of these hazards and the enactment of EPA regulations on the requirement to lower VOCs or to eliminate them altogether, the solvent industry has stepped up to the plate and has now formulated a number of excellent solvent substitutions. 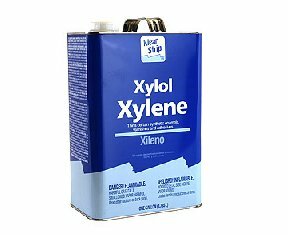 These either have no VOCs or are so low in VOCs that the EPA classifies them “VOC Exempt.” One such product to consider as a non VOC substitute is a silicone-base, very low odor, solvent called SOSYL, that is completely VOC free. 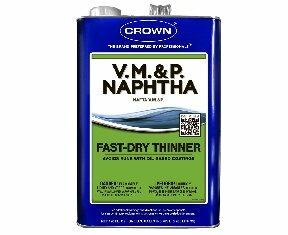 The new solvent is used for thinning 2-part RTV silicone, thinning silicone paint systems for use in airbrushing silicone colorants and used for the solvent enlargement and shrinking process of silicone molds. 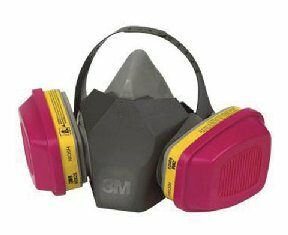 In conclusion, the evidence supports a strong recommendation that you use a protective NIOSH mask when handling any VOC solvent for the health reasons we detailed above. As an alternate, search out use the newly developed VOC-free and VOC-exempt solvents, so that you continue your artistry in the best of health.